Today we look at an example of Bachmann’s “Junior” range of models. 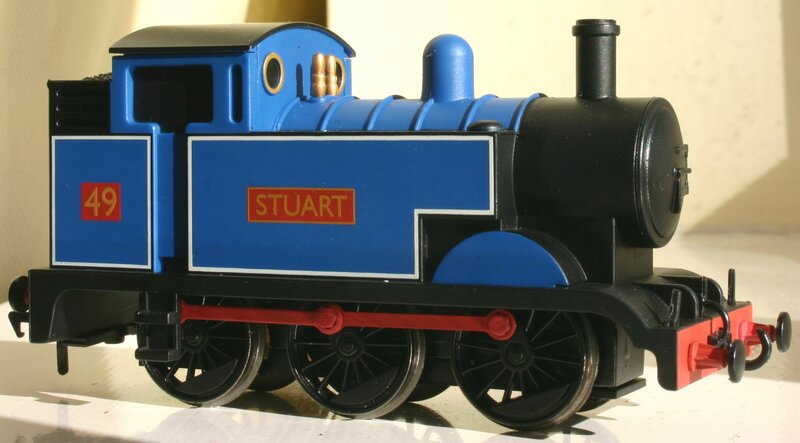 Other models in this range include an 0-6-0 diesel and a saddle tank that share a chassis with this side-tank version. 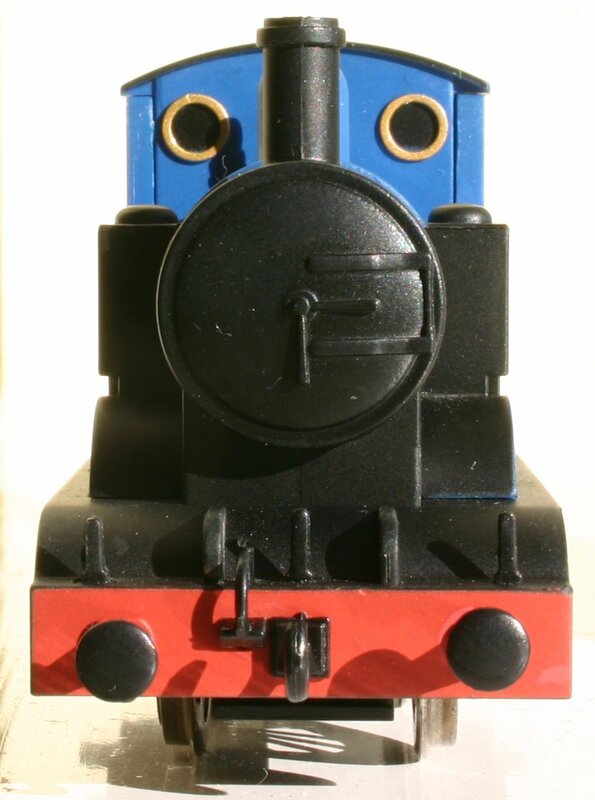 There is also an 0-4-0 tank engine that has an excellent running chassis, but is a little harder to find. 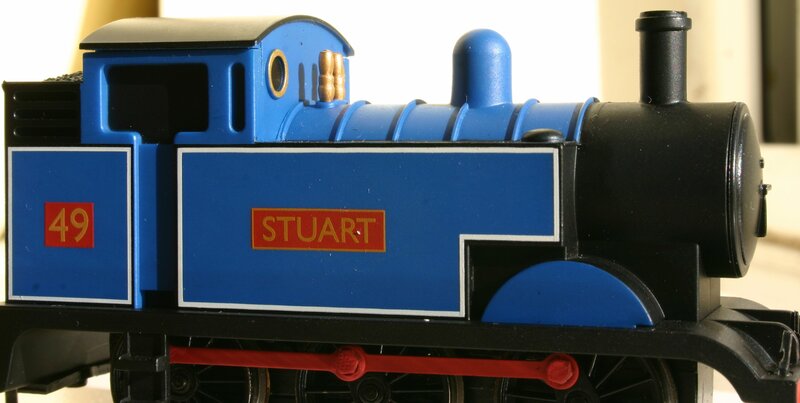 The models are not models of specific prototypes and are designed with the younger train fan in mind. With Christmas fast approaching, hopefully this review will help parents, grandparents, Auntie’s Uncle’s and all who are looking for a train present for a younger enthusiast but want something a little more modern and easier to control than Hornby’s basic 0-4-0 tanks. Being a model for a younger generation, the model has few details so that it can withstand heavy-handling. Interestingly, a cosmetic coupling hook, three lamp-irons and a vacuum pipe are modelled on or above the front bufferbeam, with the coupling hook and vacuum pipe on the rear bufferbeam. The model literally has no cab – no windows or even a space where usually there would be one. The model is very basic, but given it’s audience, this is not necessarily a bad thing. How do you mark a fictional model for it’s outline I hear you ask? For starters, it’s H0 scale Thomas the Tank engine routes are clear. The model looks a little under-sized for a 00 scale model, although it can just about sit alongside 00 scale models without looking too out of place. It also looks stretched vertically and just seems a little too cartoon-like to be a great representation of a real machine. The previously mentioned lack of cab also works against it in this area. The coloured-plastic finish isn’t terrible and the lining, number and name plates are all simple but nicely applied, without being spectacular. The same can be said for the chassis and blackened wheels. Overall the finish is more than adequate for a budget model. 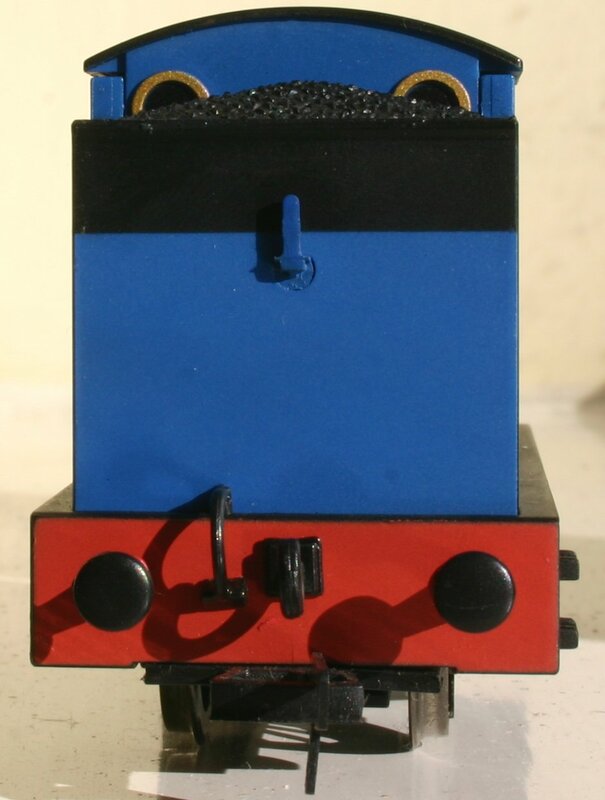 The motor is quiet and smooth and much better than Hornby’s 0-4-0’s, being far more controllable and lower-geared. The short-wheel base makes stalling on train-set points a little problematic, but the brass pick-ups on alll wheels make it as good as it could be and still is better than a Hornby 0-4-0. At least this will teach the younger enthusiast the importance of keeping a model’s wheels clean! Very difficult to compare it with anything real, but it is light and weak which restricts it’s shunting abilities. It can handle two bogey carriages with only a little slippage, which is reasonable. It could do with some weight to improve adhesion. No NEM pockets but the tension lock coupling is small and refined, unlike the monster Hornby Railroad models. DCC options are good and set it apart from Hornby’s competing models at the price-point. It is a very cheap model and can be found in set’s or ex-set for very little money. Considering that it is a fairly modern, albeit cheap mechanism, it is very good value for money. Try not to pay more than £20 if you can help it. A cheap budget model, that’s main failings lie in it’s H0 scale roots. It’s very cheap and an easy route into DCC modelling and it has to be commended for that. For this gives the younger modeller an entry-level route into 21st Century model trains, that will work with the latest DCC technology. If you are a parent looking for a first train set for your child I would advise getting a digital Bachmann train set with a one or more of these “Junior” models – it is the ideal low-cost present for Christmas or a Birthday for a younger enthusiast in the making.